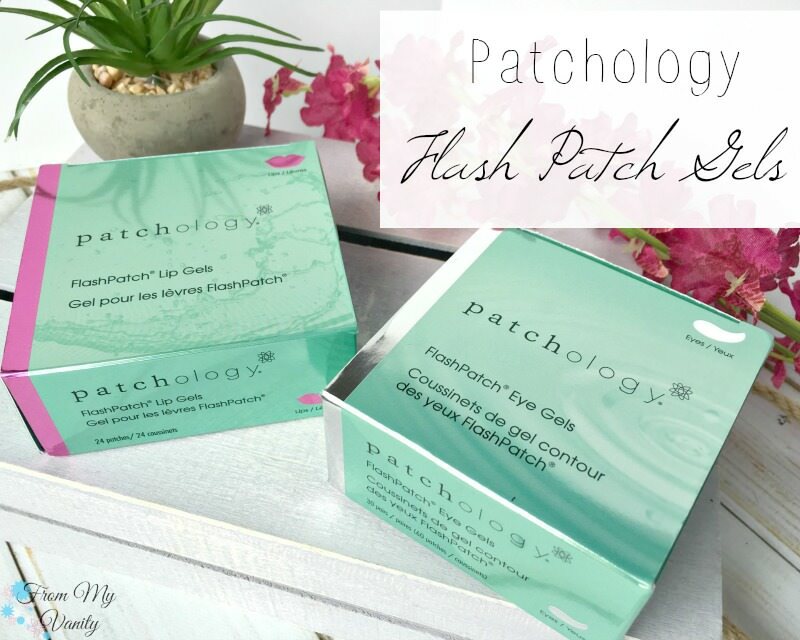 I was really intrigued when I was approached to try out these Patchology FlashPatch products several weeks ago. I’ve heard of lip and eye gel patches, but have never given them a try. So of course I said yes! 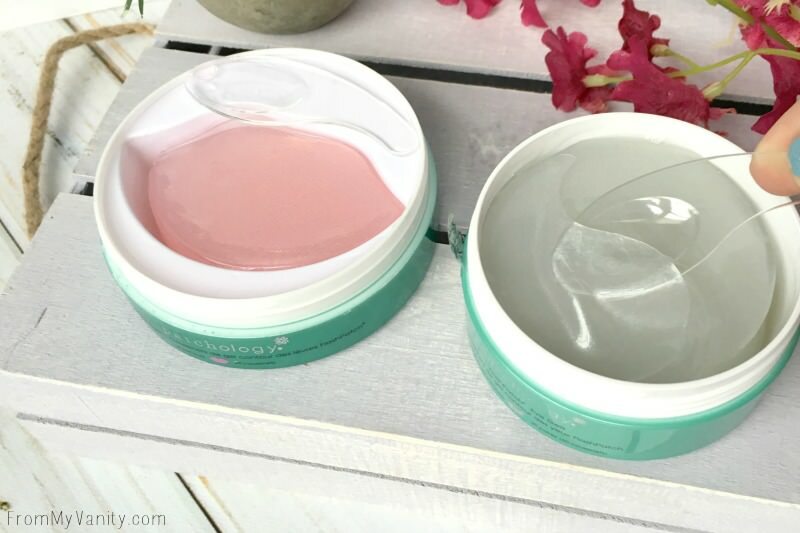 Now, this isn’t going to be an in-depth review of using the product long term, but I will be able to share with you my initial thoughts and my results immediately following usage! These are fun! I have really textured lips and am constantly struggling to keep them from being dry and flaky. I’ve used these about four times since receiving them (a little over a week ago), but they can be used as often as you like. 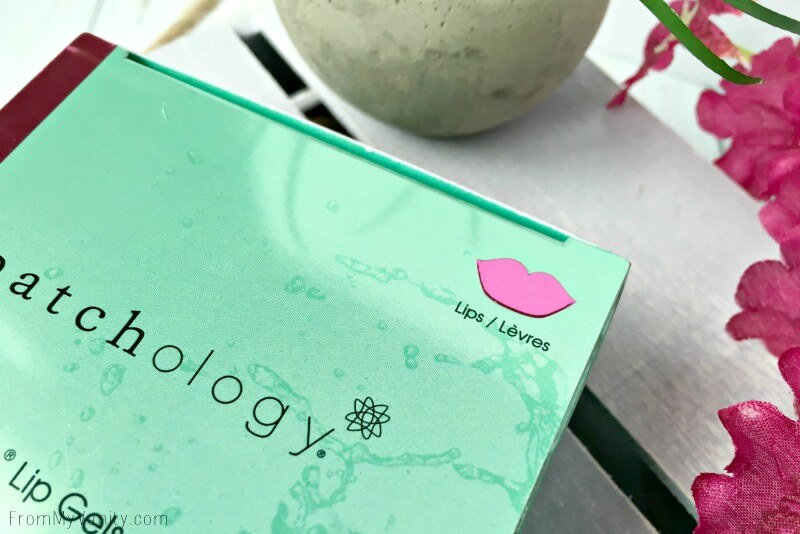 I like to apply them in the morning right after I’ve washed my face and before moisturizing on the days when I want my lips to look realize nice (they’re a bit too pricey to justify using them on the daily!). Now are they $50 good? Well, that’s hard for me to say. I am not familiar with the typical pricetag for lip masks like this. If I go through this whole container, though, and see a marked difference in the texture of my lips, I will definitely consider repurchasing! I have been so curious to try out one of these types of eye patches! I have a lot of fine lines under my eyes, like laugh lines, and no matter what sort of setting powder, baking method…it doesn’t matter. By the end of the day I always get creasing there. 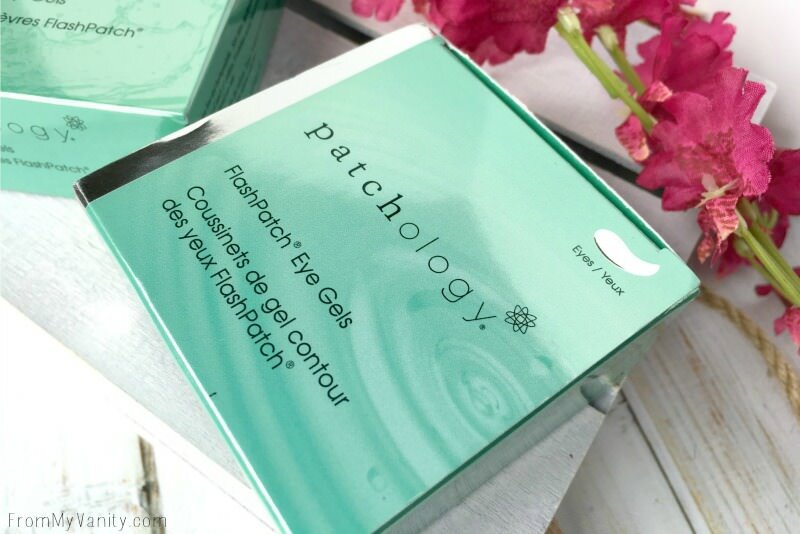 The gel patches hold a lot of serum, and even though I don’t keep these in the refrigerator or anything, they have a lovely cooling effect under my eyes. 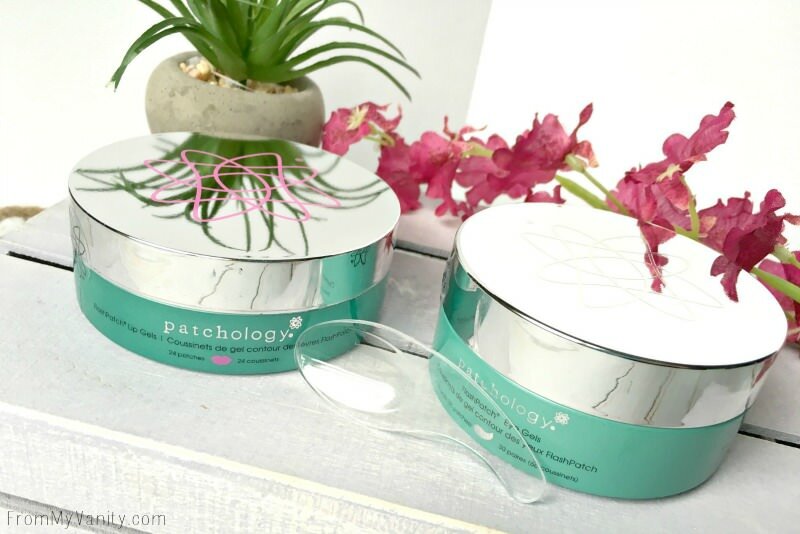 Which really helps to depuff my eyes — which, recently with my 7 month old teething, there has been a lot of dark circles and puffy eyes! After leaving it on for 5-10 minutes, it would start to dry and soak into my skin. 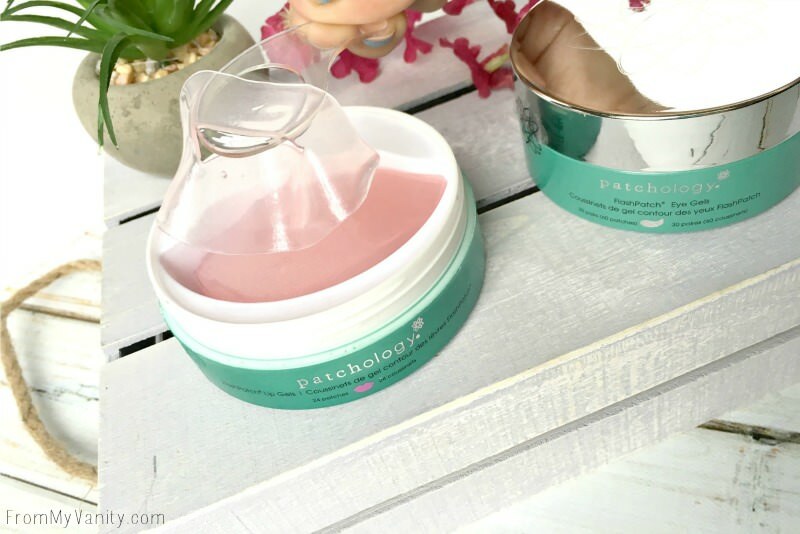 After removing the Patchology FlashPatch gels, I pat whatever remains into my skin, which isn’t too much. The times I’ve used this I have noticed a marked difference in how my makeup — and concealer, specifically — looks throughout the day. The fine lines underneath my eyes are almost non-existant when I apply my makeup. And while at the end of the day there are still some creasing, it isn’t half as bad as it usually is. Again, it’s really hard to justify the $50 pricetag, but I really do love the results I get after using them. If I experience a long-term benefit from using this whole container up, I would personally splurging on. And there you have it! My thoughts after experiencing these patches. Have you tried anything like this before? 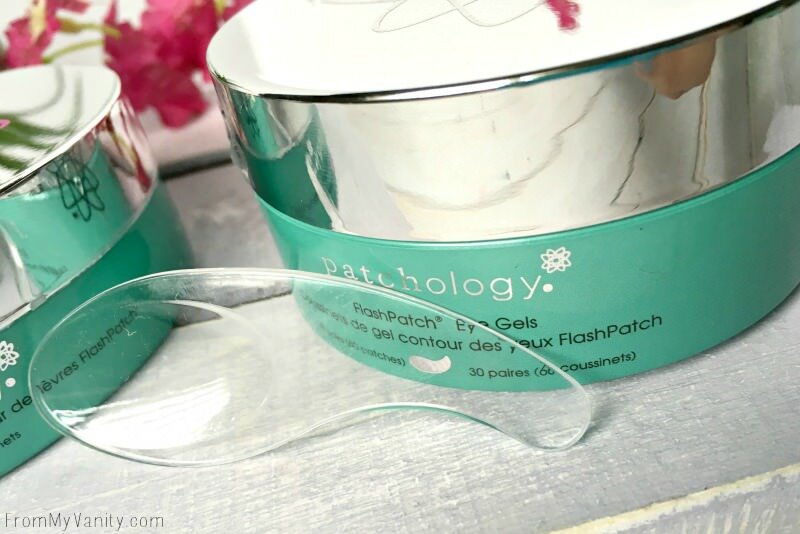 Or these Patchology gel patches specifically?? I’d love to hear how it’s worked for you! How totally interesting! I haven’t seen anything like this before for lips. These seem really soothing! Also, never thought of the fridge idea!!! Genius! Wow, I think I need to try the lip patches, I suffer from chronic dry lips because I talk all day long for my job. Great post! Um I need these asap! They sound great! no pictures of you wearing them? It might just be me, but these feel like a money grab. $50 is steep for the same thing petroleum jelly does. I could do with both of these – my lips are textured, dry and flaky even if I reapply lip balm 12 times a day lol. And the less said about my sleep-deprived eyes, the better. I kind of want to play with these!